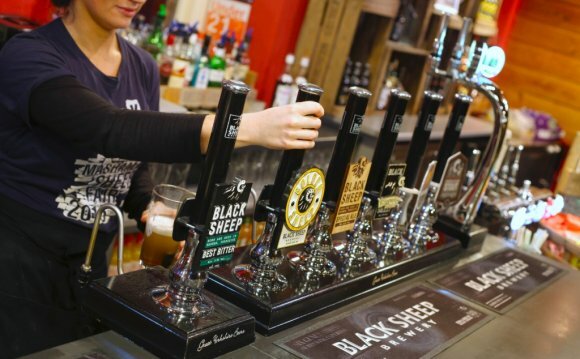 - Black Sheep Brewery Visitor Centre is the ideal place for a 'ewe-nique' day out! Shepherded tours, fully licensed Bistro & Baa...r and a large sheepy shop. - Scarborough Brewery is a micro brewery located in the beautiful seaside town of Scarborough on the North Yorkshire Coast. Formed in August 2010 with a small 1 barrel plant, Scarborough Brewery has since grown to a 10 barrel plant and has expanded the range of beers being brewed. Click here to view the beers currently available. - Relaxed and comfortable visitor centre with video, story boards and regular guided tours. - No trip to York is complete without a visit to York's friendly and independent brewery, where beer is brewed using traditional methods. - was founded in 1992 celebrating 19 years of award winning ales. They are an independant traditional brewer using traditional methods. Their water is the main reason for their location where the Yorshire mains water needs very little adjustment in the burtonisation process to becomes our brewing liquor. was established relatively recently on the back of the success of its vineyard. Their beers are available in a variety of pubs across York, Harrogate, Leeds, Hull & Sheffield Areas as well as local farm shops & cafes. is an award-winning microbrewery based in Malton. Reviving the towns's brewing heritage, Brass Castle is right in the bustling centre of Yorkshire's new food capital. The brewery produces cask ales as well as ‘craft' kegged beer and bottles. The brewhouse ethos is very much to ride the UK's current beer revolution and take full advantage of the variety of beer styles available.